In 2002 there were 37 officer-involved shootings, resulting in 16 civilians killed and 20 wounded, including 2 minors. 17 were unarmed, and 4 were known or suspected to be mentally ill. All of the officers were no-billed. 37. 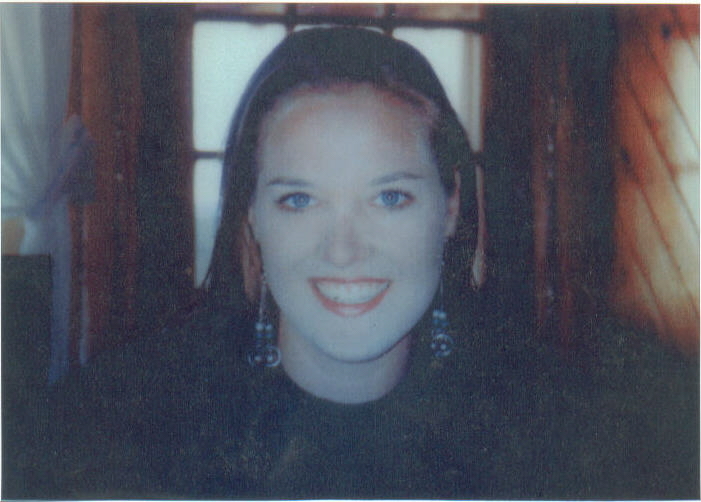 12/20/02 - Tammy Sanford, 28, w/f, shot in the head and killed by Houston police officer Gary Fontenot, 48, w/m, who then shot and killed himself. Sanford is the 18th person known to have been shot to death this year by Harris County police officers. 36. 12/6/02 - Ralph Reiner Myers, 43, shot in the upper left back by Harris County sheriff’s deputies Luis Guillermo Figueroa and Timothy Gene Arfele. Myers had reportedly stolen some DVDs and was chased around Houston for nearly an hour until he was shot in the back. 11/04/02 - Figueroa shoots Rodney Ali Baldwin in the back and kills him. 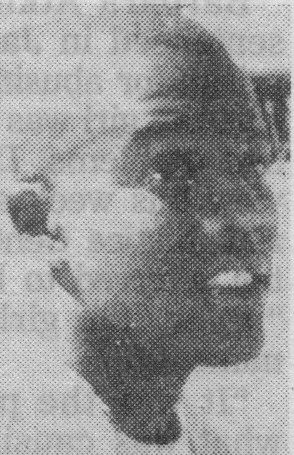 w/f, 28 and mentally ill, shot once in the abdomen and killed by Houston police officer Robert Ray Lara, on the force just 11 months at the northeast patrol division. Police claim she pointed a gun at them and threatened to shoot, but her mother said Rachel never pointed the gun or verbally threatened them and that she repeatedly told the officers she was trying to make them shoot her. Despite knowing that the call involved a mentally ill person, no officer trained to handle such critical incidents was dispatched. Rachel shouted, "Shoot me, shoot me" at the officers; Lara granted her death wish. She is the 17th person known to have been shot to death this year by Harris County police officers. 34. 11/17/02 - Michael Richard Barrett, 25, shot twice and killed by Houston police officers L. T. Gibson, a 2-year veteran from north patrol division, and R. G. Flores, a 5-year veteran from northeast patrol division. The officers, working off-duty as security guards at a nightclub, said they heard a gunshot (later determined to be a self-inflicted leg wound by Barrett), found Barrett sitting in his car, and ordered him out. As he obeyed, officers claim they saw a gun and told him to drop it, but he began running. Barrett was shot to death after he allegedly pointed a weapon at them. Barrett is the 16th person known to have been shot to death this year by Harris County and Houston police officers. 33. 11/7/02 - Eric Alan Rencher, w/m, critically wounded when shot in the shoulder and leg by Vossler Sigmond "Bubba" Hinkel Jr., 29, a Harris County Pct. 4 deputy constable for just one year. Hinkel had responded to a family disturbance, and claimed Rencher pointed a gun at him. Although Hinkel was told the gun was a non-working antique, he shot him as Rencher's wife, daughter and son looked on. b/m, 24, shot in the back and killed by Harris County Sheriff’s deputy Luis Guillermo Figueroa, a 4-year veteran, who claimed Baldwin pointed a "black object" at him as Figueroa chased him. Witnesses dispute this, saying Baldwin had no weapon. 12/06/02 - Figueroa shoots Ralph Reiner Meyers in the back. 31. 10/9/02 - Richard Jarrard Petley, 35, shot by Harris County sheriff's deputy Bruce Allen Watson, working off-duty as a security guard at a restaurant. Watson saw Petley loading two of the employees' bikes in a van, and told him to stop. He said Petley instead got in the van, and claims Petley drove toward him. Watson fired at least eight times, hitting Petley in the abdomen. 30. 9/15/02 - Cary Dwayne Cobb, 34, critically wounded when shot in the chest by Harris County sheriff's deputy Ralph Leon Gideon Jr., when he responded to a family dispute. Gideon claims he shot Cobb as he lunged at him with a pool stick. 28. & 29. 9/12/02 - Daniel Polk and Michael Leno Vitello, wounded when shot by Houston PD narcotics officers Dale S. Crawford and Dennis Nelius, and DPS officers Wilmon Smith and Oscar Enriquez in a drug bust. As one officer stood outside the car buying drugs, he claimed the man pulled a gun and said this was a holdup. He also alleged that a man in the back seat said he was pointing a gun at his head. The officer then grabbed the gun from the man in the front seat and shot the man in the back seat in the head and chest. As the man in the front seat ran, other officers shot at him, striking him in the arm. It is not known which officer shot which "suspect." See also: 9/7/04 - Crawford kills Johnny Michael Jenkins Jr.
27. 8/6/02 - Ronald Michael Cunningham, 41, shot 3 times and killed by Houston police officers Sgt. J. W. McClelland and K. M. Arntz, West Side Tactical Unit. Police had staked out a car believed involved in several robberies at an apartment parking lot when Cunningham arrived, put the gun in his mouth as police watched him, then reportedly pointed it at them before he was killed. 26. 8/5/02 - Artie Rufus McDonald, 34, shot by Harris County Precinct 4 deputy constable Troy Alan Guidry, who said McDonald had rammed his patrol car with a moving van, pinning him between his car and the van. Guidry then fired several shots into the van, striking McDonald in the arm and chest. McDonald was suspected of being involved in a burglary with the van. 25. 8/3/02 - John Milton Forderson Jr., 55, critically injured after being shot by Houston PD officer Eric F. Westrup, who said the homeless Forderson was lying in the middle of a residential street, and that as he approached him, Forderson began swinging a piece of lumber at him while shouting, "Somebody is going to die and it won’t be me." Suspecting Forderson of being mentally ill, Westrup says he called for a CIT unit and began backing away, but claimed he was then forced to shoot Forderson. The bullet went through his elbow and into his chest. This apparently mentally ill man was then charged with aggravated assault. 24. 7/29/02 - Leslie Glen Wright, 17, shot in the neck by Harris County sheriff's deputy Craig Darnell Thomas, working off-duty as a security guard. Wright was sitting in a stolen car in a parking lot. When told by Thomas to get out of the car, Wright allegedly drove toward Thomas. Two other deputies - Darryl Gordon and Toby Joseph Kroeger - fired at the car, but their bullets struck Thomas instead in the right thigh and left foot. Wright later turned himself in to authorities. 23. 7/21/02 - Salome Pineda Garvajal, h/m, 41, shot in the face and killed by Pasadena police narcotics officer Isaac Villareal, h/m, 33, a 13-year veteran. Villareal claimed he believed Garvajal was reaching for a weapon in the console when he shot him. Police allege Garvajal and three companions were planning to buy marijuana. No drugs were found in their vehicle. Garvajal is the 15th person known to have been shot to death this year by Harris County police officers. See also: 1/6/99 - Villareal is one of six officers that killed Keithen Briscoe and Empra TaDar Moore, and wounded Robert Moore. 22. 7/19/02 - Leonard Michael Mosqueda, h/m, 38, shot to death by Harris County sheriff’s deputy William Randall Christian (Humble substation), who claimed Mosqueda lunged at him several times with a knife. Mosqueda had severely beaten his estranged wife. 21. 7/16/02 - James Lewis Sullivan, 17, w/m, shot in the abdomen by Houston police officer Gerald M. Goines, 37, w/m, who claimed Sullivan was planning to burglarize his home. b/m, 23, shot and killed by Harris County sheriff’s deputy Wallace Wayne Wyatt Jr. as he sat in a friend’s car with the friend’s 2-year-old child sitting directly behind him. Menifee was removing his belongings from the apartment he had shared with his former girlfriend when a neighbor called police alleging a burglary. After Wyatt and deputy Richard Montes arrived a phone call at the apartment was received from Jessica Patterson; she told the deputy who answered that Menifee lived there and was asked to come and identify him. Apparently the deputies then tried to arrest Menifee; a struggle ensued, and Montes’ leg was broken. As Patterson pulled into the driveway Menifee jumped into her car and urged her to drive away, but she kept her foot on the brake as Wyatt approached. Patterson told Wyatt she knew Menifee, but he then pointed his gun at Menifee. Patterson told him not to shoot, that her baby was in the car, and continued to tell Wyatt, "We’re not going anywhere." Then Wyatt shot Menifee three times through the windshield. 19. 7/11/02 - Melvin Alejandro Romero aka Mario Romero-Mejia, h/m, 20, shot three times in the abdomen and killed by Precinct 1 deputy constable Matthew Wayne McCord after he was stopped for speeding. Police claim Romero was reaching for a gun, but witnesses say they saw no gun and that Romero indicated in Spanish that he was reaching for his drivers license. One witness said, "The guy did as he was told, put his hands on the hood…He was kind of confused…. Another witness said, "It just didn’t make any sense to me…When he was shot and on the ground the officer kept screaming, ‘Put your hands on your (expletive) head.’" After Romero was dead McCord claims he removed a gun from underneath him. Also see: 11/13/99 - McCord shot Martin Cortez Gonzales in the arm. 17. & 18. 6/21/02 - Anthony Lane, 21, shot in the arm, and Louis Perkins, shot in the left side by Harris County sheriff's deputies Timothy Lauder, 32 (10-yr. vet), and Eddie Lopez, 37 (14-yr. vet), after a high-speed chase in a stolen car. After spikes caused them to stop, officers said Lane and Perkins began moving around; Lopez shot at them three times, and Lauder shot once. Neither Lane nor Perkins was armed. 16. 6/12/02 - Douglas Dwayne Fleming, w/m, 47, wounded when shot by Houston PD narcotics officer G.N. Ford (10-yr. vet, SE Patrol). Ford and his partner saw Fleming and another person in a motel parking lot. When they told him to get out of his car, Fleming instead tried to drive away. Claiming he thought his partner was being dragged by the car, Ford shot into the windshield, striking Fleming. 15. 6/12/02 - James Brandon Fields, w/m, 22, shot and killed himself as SWAT officers from Houston PD, International Airport and U.S. Customs stood by. Police had arrested Fields’ roommate, claiming "a quantity of ecstasy was recovered" in his backpack; however, no charges were filed against him. 13. & 14. 6/12/02 - Daniel Damian Jr., h/m, 20, killed by gunshots to his hips, and Carlos Alberto Ramirez, h/m, 24, killed by multiple gunshot wounds by Harris County sheriff’s deputies Shane Ronald Bennett, w/m, 29, Terrence Lenard Burks and Sean Russell Conrad during a home invasion. Two other male accomplices were not injured. Bennett was also killed during the melee by a gunshot in the back of his head fired by his partner, Conrad. A young woman and her infant son received minor wounds from the shots fired by the deputies. 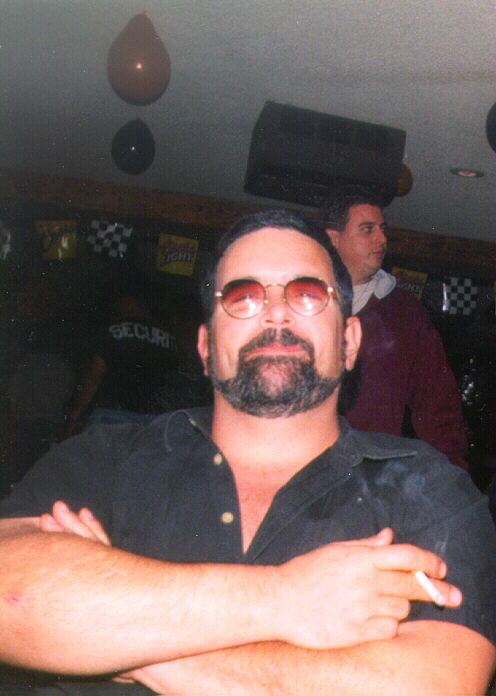 See also: 4/23/00 – Conrad kills Richard Leon Keohane. 04/14/02 - Ashabranner kills Michael Wayne Goodman. 11. 5/24/02 - Marcus Alexander, 26,shot to death by Harris County deputy sheriff Stewart G. Wolverton, who had responded to a family violence report. Police say Alexander had beaten his wife, and tried to wrestle the deputy’s gun from him; Wolverton fired 3 shots, killing Alexander. 9. & 10. 5/18/02 - Cesar Herrejon, a minor, and Alex Gonzalez, shot by Precinct 6 reserve constable J. A. Flores. No other details available at this time. 8. 5/17/02 - Jessie Maciel Jr., 37, h/m, mentally ill, shot in the abdomen by Houston PD officer O.R. Cisneros, 34, a 5-yr. veteran with South Central Patrol Division. Police say they were called by Maciel’s mother after he threatened to kill her if she did not leave the house they shared. Cisneros found Maciel nearby and claimed he shot him after Maciel threatened him with a machete. Once more, no member of HPD’s Critical Incident Team was asked to respond to this call, even though Maciel reportedly has a long history of mental illness. 7. 5/13/02 - Mark Louis Fletcher, 24, shot "at least twice" by Harris County sheriff’s deputy Robert Stanley Spurgeon Jr., 36, a field training officer from Humble. Deputies apparently were following up on a neighborhood dispute when Fletcher fired at them from his aunt’s home at a trailer park, hitting Spurgeon in the chest, who then shot Fletcher. Spurgeon was not injured because he was wearing a bulletproof vest. 6. 4/21/02 - Bryan Hauzle Sanders, 30, b/m, shot in the foot at an after-hours lounge by off-duty Houston PD officer Myron Lindley, 39, a 12-yr. veteran with the Fondren Division. Police say Sanders pointed a shotgun at Lindley after a dispute with the manager of the club over a cover charge. 5. 4/16/02 - Esau Marin, h/m, 25, shot in the torso by Houston police officer Paul G. Peters on 4/15/02, who claimed Marin "advanced" toward him with a large folding knife until he was cornered. It is not reported whether the knife was open. Marin died in hospital the following day. "He was a nice man," said a friend; "I don’t understand why the police killed him." 4. 4/14/02 - Michael Wayne Goodman, 40, is shot three times and killed by Harris County Precinct 4 deputy constable Terry Wayne Ashabranner, K-9 unit, after the deputy finds Goodman riding his bike in the middle of a street late at night. Ashabranner says he “asked” Goodman not to ride there but that he appeared to ignore the request. He then claims Goodman refused to identify himself and rode down a dirt road into a heavily wooded area. Ashabranner released his police dog to attack Goodman, who allegedly held the dog’s head underwater in a shallow ditch. After pulling Goodman off the dog, Ashabranner claims Goodman “pulled something shiny out,” and he was “in fear of his life,” and shot him. A pair of pliers was found at the scene. Ashabranner was no-billed, but in a 2007 civil trial, the jury awarded Goodman's mother $4+ million against Ashabranner. 06/09/02 - Ashabranner kills Waseem Jung. 3. 3/28/02 - Bobby Carl Leanox, wounded when shot by Harris County sheriff's deputy Wendi Renee Barnett, who had responded to a burglary call. Leanox allegedly threatened her with a tire iron, and she shot him in the leg. 2. 3/8/02 - Victor Manuel "Twin" Meza Jr.
19, h/m, shot in the chest, leg and hip and killed by Houston police officers E. Blankenship and Stuart F. Red after a citizen called police when he saw Meza with a gun in his hand. Witnesses say that at least 10 patrol cars and 6 unmarked police cars responded. Police then claim Meza waved the gun at officers, and one officer “fired at least twice, causing (Meza) to stumble and fall.” The gun was not loaded. In 1980, 1983 and 1994 Red was involved in other fatal shootings.